SEO, the term has been subject to discussion many times in the past decade. A decade in which the trade of SEO grew big, but was also questioned in many ways. Black hat tactics at some point gave the term a bad name, but no matter how big the discussion was, SEO was still part of every digital marketing strategy. That has not changed, to this day organic search remains (one of) the most importants channels for brands, simply because that is where the audience is at. Researching, understanding, just browsing or even in a purchase mode, the audience sooner or later touches on search. So a brand needs to be there. But SEO has seen a lot of changes in the past few years, mostly pushed by Google, but also pushed by SEO’s themselves as well as brands, trying to make the most out of the channel. You could say SEO is being professionalized. A new age of SEO is here. In the past few weeks we have been working with Linkdex to create an e-book around the new developments on SEO, where is it heading, what is the current State of SEO? To find out we talked to many different experts. The e-book features conversations on the topic of SEO Now with 27 thought-leaders, from pioneers of digital marketing, to global brands and search industry experts. 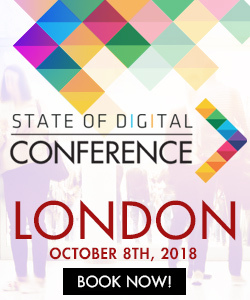 Contributors include well-known figureheads of the search industry, such as Danny Sullivan, Bruce Clay, Marty Weintraub, Cedric Chambaz, Marcus Tandler, Eric Enge, our very own Aleyda Solis and representatives from global brands, such as Microsoft, Airbnb, ABC News, Adobe and Expedia, and many more — all giving their unique views on the state of SEO. Interested? Get the free copy of the book NOW! The eBook also includes the fictional, but highly insightful story of Third Space Travel, a global travel company that find themselves falling foul of the algorithm updates, but go on to build a framework for an organic strategy designed not only to survive in the organic space, but to win. 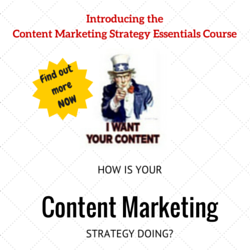 This e-book is a not too miss document for any CMO, SEO or any marketer for that matter. It will teach you the importance of SEO, will bring you the best strategic tips from the top notch people in the industry. And finally it will give you the tools to get the right strategy implemented for your company. Get your free copy of the book NOW! Link for the ebook is broken, thank you!!! Thank you for letting us know, we adjusted the link!